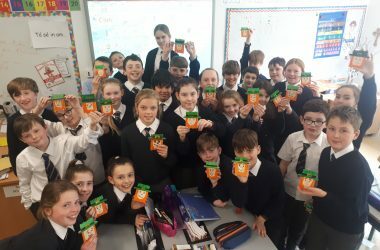 5th class enjoyed World Book Day in the month of March. 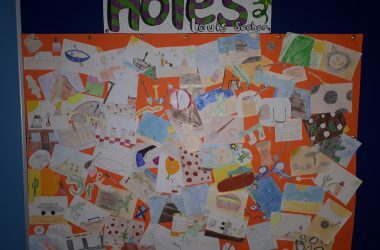 We enjoyed dressing up and also created this collage of drawn images, all from our chosen book, ‘Holes’ by Louis Sachar. 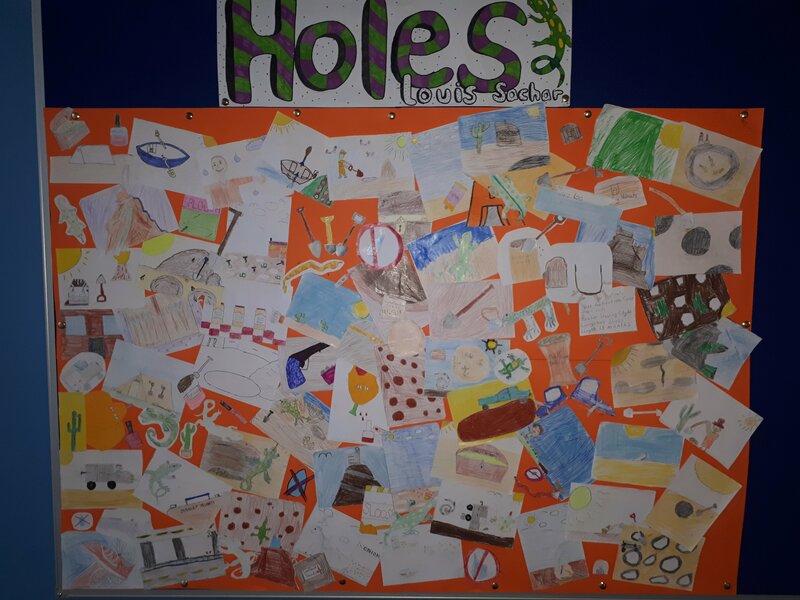 ‘Holes’ is our class novel for 2019. A brilliant read for all! 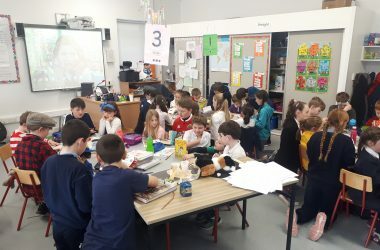 Peer Reading- 5th class visited the children of 1st class on world book day and did shared peer to peer reading with them. We all try to look out for those younger than us in school. 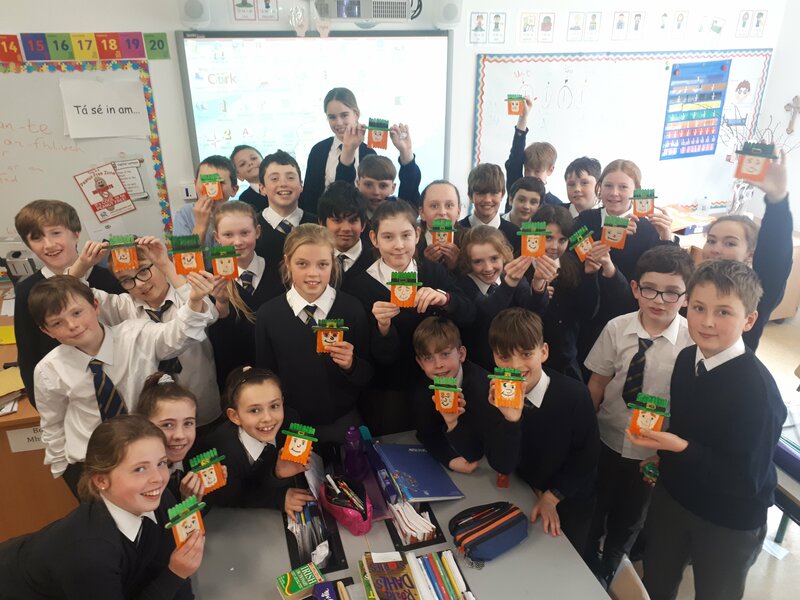 Irish Dancing – 5th class enjoyed Irish Dancing in the halla during Seachtain na Gaeilge. Everyone gave it their best. Great fun!! 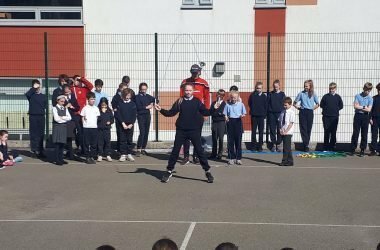 Skipping. 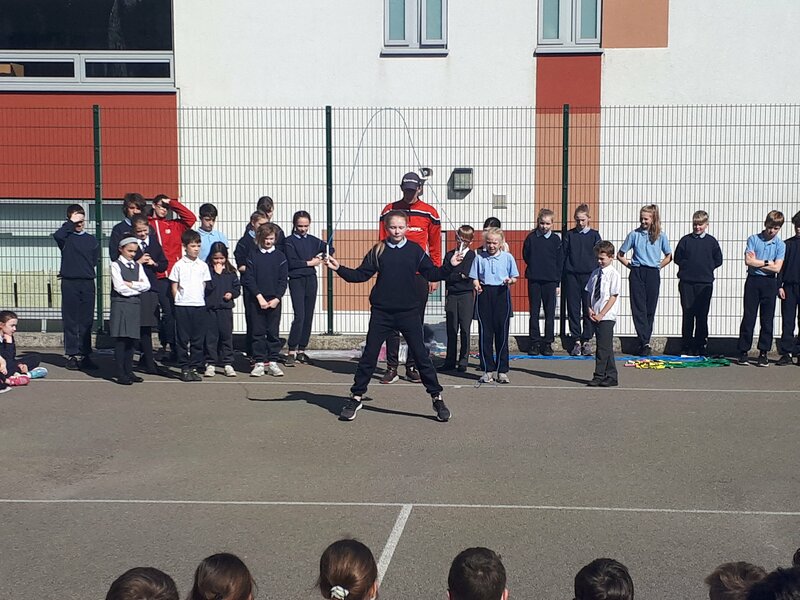 Skipping was such fun in the sunshine. We were blessed with the weather on this day. Skipping days like this encourage us to be active and healthy in our spare time. St. Patrick’s Day. 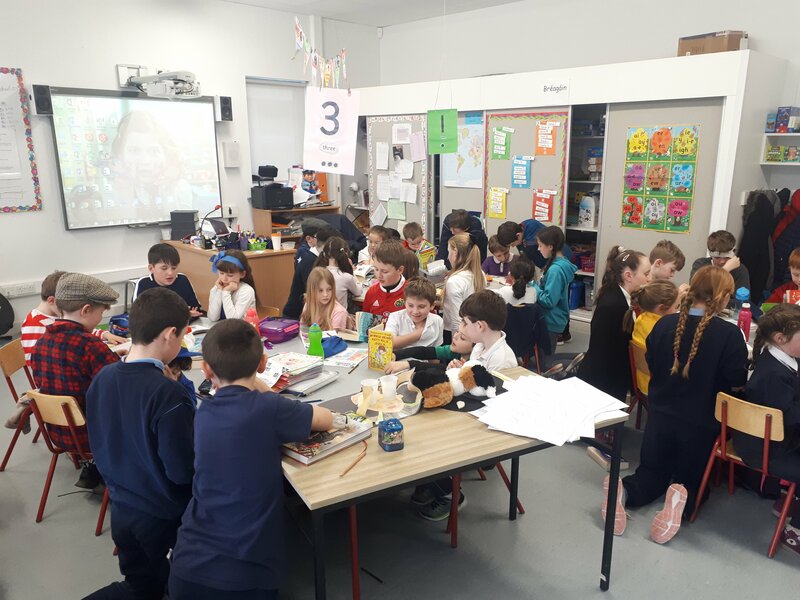 We were proud of our St. Patrick’s Day art in March. All we needed was lollipop sticks and paint. Simple but fun!